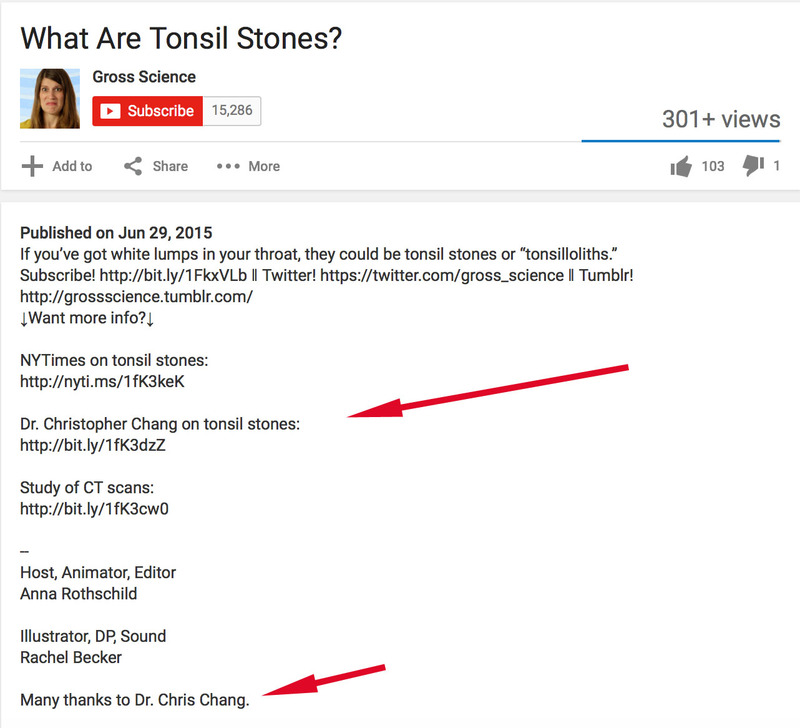 PBS show Gross Science hosted by Anna Rothschild recently aired a show (6/29/15) called "What Are Tonsil Stones" for which Dr. Chang was consulted on as a medical expert. Check it out! I'm listed in the video description. Thanks Anna! 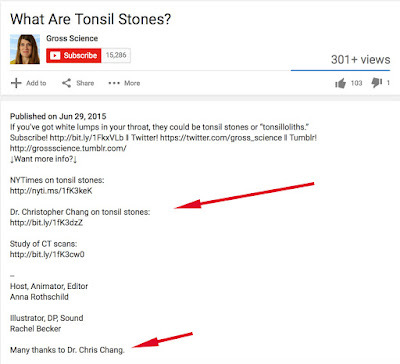 More info on tonsil stones can be found here.